Cut tops off peppers and remove seeds. 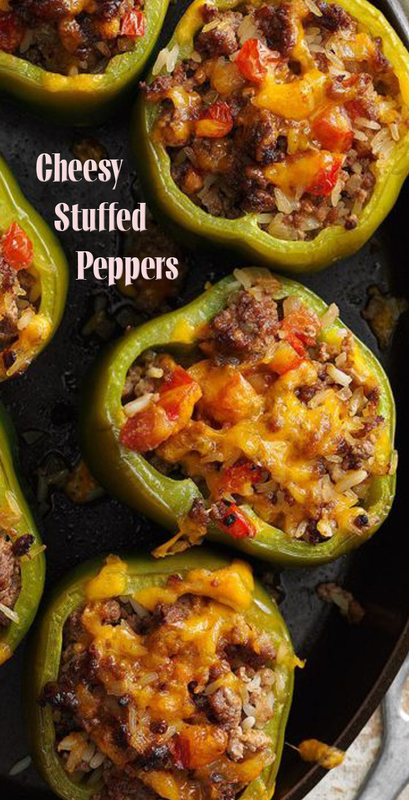 In a Dutch oven, cook peppers in boiling water 6-8 minutes or until crisp-tender. Meanwhile, brown beef, onion and salt in a skillet; drain. Cool slightly. Stir in the cheese, tomatoes and rice. Drain peppers and stuff with meat mixture. Place in a baking dish. Bake, uncovered, at 350° for 20 minutes or until heated through.